If you ask different law enforcement officers about their backgrounds and what they did before they became police officers, you will very likely be surprised by their answers. Not only will you learn just how many different people with different backgrounds join the force, but you'll also learn how different people find their way to this profession at different stages of life. If you're looking to make a career change yourself, you may be asking if you're ever too old to be a police officer. 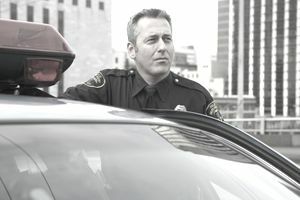 In the day-to-day job of any police officer, cops encounter members of the public from all walks of life, varying economic status, race, social standing, and experience. It only makes senses, then, that the makeup of the police force - to a certain degree - reflect the community they protect. There's no one type of person who makes the perfect police officer. Instead, it takes all kinds of people working together on the police force to offer different ideas and perspectives to find the best ways to serve their communities. It includes members from different backgrounds and age groups. For a majority of departments - both at the local and state levels - your age at the time of application is far less important than whether or not you can physically perform the job. If you're in shape and can demonstrate that you can handle the physical rigors a police officer is likely to encounter on the job, then you are ahead of the game. If you're seriously considering a career in law enforcement - and there are many great reasons to do so - you will need to check with the departments you'd like to work for to make sure there are no age restrictions. Some agencies, such as the New York State Police and many law enforcement careers with the federal government, do have maximum age limits. For the NYSP, you must be under 30 years old at the time you apply and less than 36 years old at the time you are appointed. The NYSP allows an additional 6 years for military veterans, both for the application age and the appointment age, so it's possible for you to be as old as 42 when you're hired. Most federal law enforcement agencies have a maximum age of 37 years old at appointment, but they, too, waive the age limit for qualified military veterans and members already working within the federal system. Generally, though, there is no maximum age for you to be a police officer, and with so many different law enforcement agencies within the United States, you can very likely find a department near you that will hire you at any age, so long as you meet the other qualifications. There is a lot to be said for life experience, and too often younger police officers have little. With minimum ages of 19, 20 or 21 to be certified in most states, you can imagine that many of these new police officers do not have the same awareness of the difficulties many members of their communities are facing daily. With age comes experience, and the experience is often very helpful in your daily interactions o the job. If you can meet the physical requirements - passing a physical abilities test or a fitness evaluation - and your background and work history are suitable for a law enforcement job, then there's probably a good chance you can enjoy a second career as a police officer. If you have always wanted to work in law enforcement, now is the time for you to complete that application and take the first step toward a rewarding second career.